« Sister’s Centennial Motorcycle Ride. Then, 2 Women. Now 100 Women Riding Cross Country. Published by Cyril Huze September 20th, 2015	in Controls and Customs. 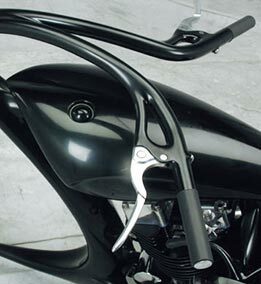 For those in pursuit of ultra clean handlebars, it will be difficult to beat weld-on cable hand controls. 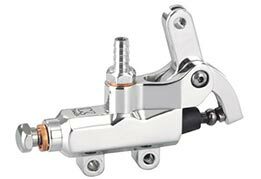 Clamps are machined from billet steel for easy welding Of course, you will need to use a remote master cylinder also available from the same company. Kit of both left & right sides is $380.00 (EUR 340.00) At Kustom Tech Italy. Extra points at the bike show. Thanks for the good advice Mazz. We always find that helps when welding two things together. Now that is damn cool!